The Exercise Specialists at Full Scale Fitness have worked with athletes from all experience levels. Trainers on our team have taught volleyball camps, instructed running clinics, lead strength and conditioning programs for local Northeast Ohio schools, worked hands on with collegiate athletes at The University of Akron and more. Not only do we teach it, we live it! Our education and expertise allows us to understand the athlete at a scientific level and what it takes to improve their performance. From our in-depth assessment to the different phases of the exercise prescriptions and program design, we learn, re-learn and constantly educate our athletes on what it takes to always progress. In-season, off-season, you name it - a Full Scale Fitness Exercise Specialist can help. Let us know about your interest in getting fit! We will schedule a complimentary health assessment with you that takes place in your home. This gets us prepared to train! Just like hiring a maid to clean your house, your trainer shows up at your front door ready to train you! "Working out with Full Scale Fitness was awesome. I learned many techniques and the correct way to workout after all this time. 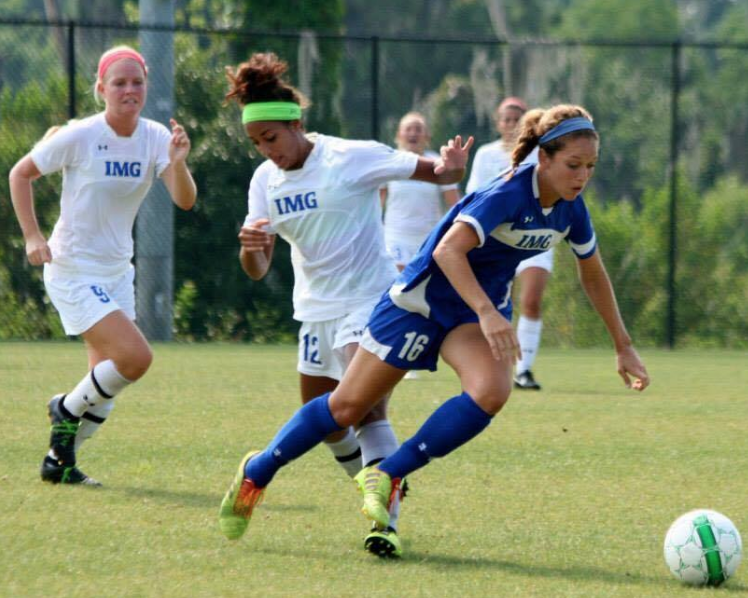 My soccer performance improved with the in-depth training they provided. Being 1-on-1 was extremely valuable for my improvement instead of being in a team training setting. Plus it was fun and motivated me to keep working out daily." 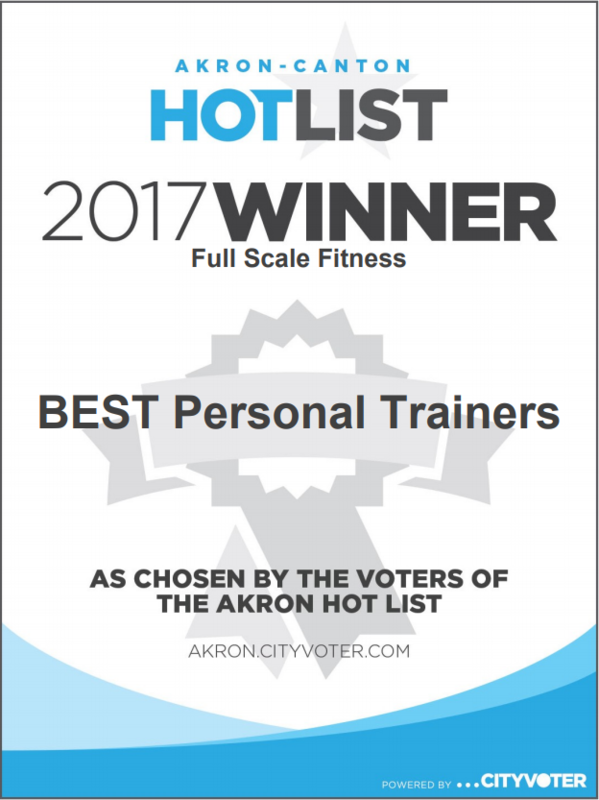 "We’re proud to announce that our personal training team here at Full Scale Fitness was awarded as the “Best Personal Trainers” in the Akron and Canton area for BOTH 2016 and 2017. 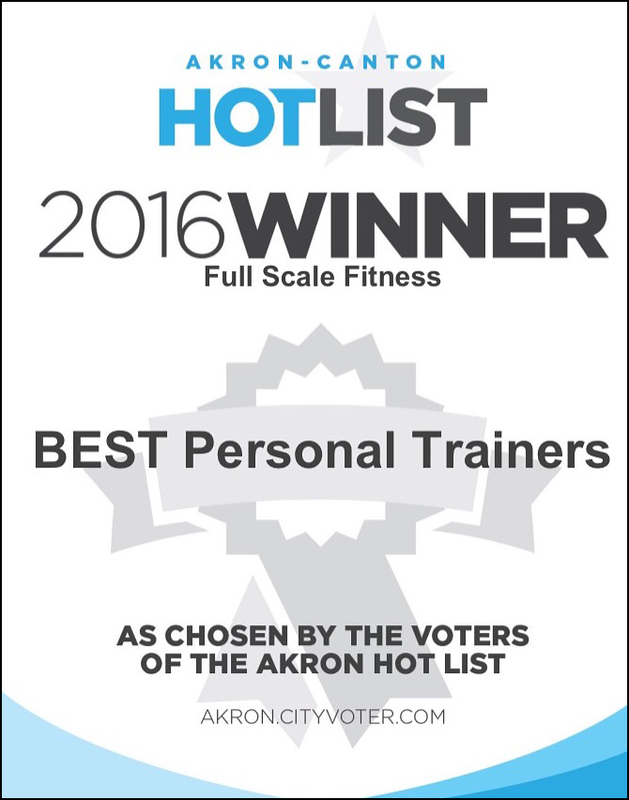 We are grateful for the recognition and strive to provide the best personal training talent to the local Northeast Ohio region! Thank you Akron / Canton / Cleveland for the back to back recognition and support!" Contact us today to schedule your free health assessment and let us show you why we’re the best available for senior fitness in the Northeast Ohio area!